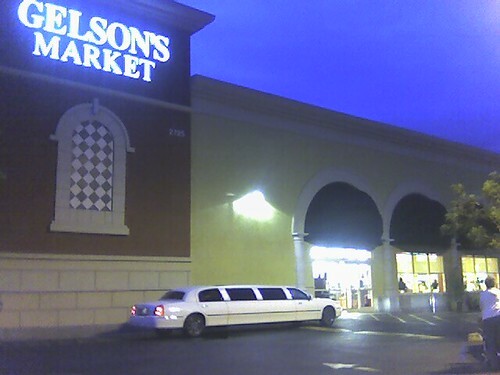 Number #1: Have your white stretch limo pull up out front so you can go grocery shopping at Gelson’s. Really, no one was impressed. Sean, you could be a bit more understanding – I think your comments are offensive for anyone whose *black* limo might be in the shop or too dirty to take to the store. Maybe he has to DRIVE the chodemobile for a living and was stopping at Gelsons to get paper bags to wear over the face. this is such a classic picture. My helicopter was broken and I needed a fix of those mustard sauced shrimp in the pre-made deli section. I didn’t think anyone would notice. He wanted some Sierra Mist.